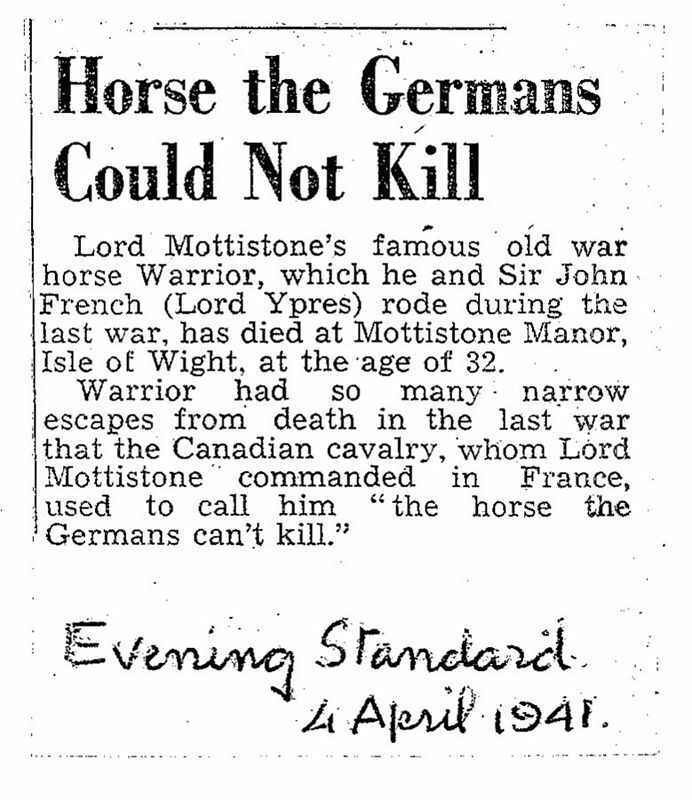 Foaled on the Isle of Wight in 1908, Warrior went to war on the Western Front with Winston Churchill’s great friend, General Jack Seely, in 1914. There he survived all imaginable disasters, was active in many famous battles including those at the Somme and Ypres and he came back four years later. Eight million other horses and mules did not. Returning with Jack Seely to his native Isle of Wight in 1918, he lived on until the grand old age of 33, even winning a point to point four years to the day that he had led the charge at Moreuil Wood. 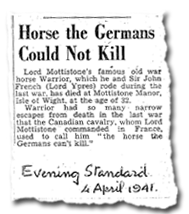 His obituary in the Evening Standard in 1941 read ‘Horse the Germans Could Not Kill’. 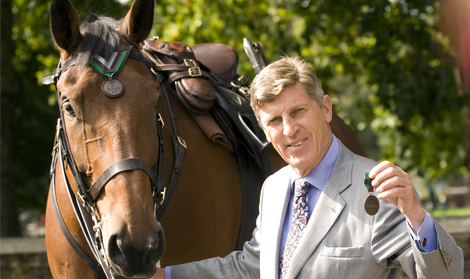 In September 2014, 100 years after Warrior went to war on the Western Front, he was awarded the PDSA Dickin medal, recognised at the animals Victoria Cross and honouring all the animals that served in the Great War. 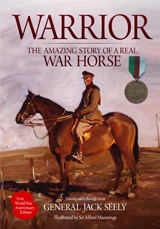 First published as My Horse Warrior by General Jack Seely in 1934, Warrior was published again in 2011 and then in paperback in 2013 and 2014. 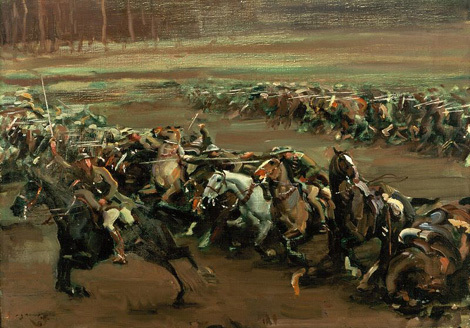 Introduced by Seely’s grandson, the writer and broadcaster, Brough Scott, it contains the original drawings and paintings by the famous equine and war artist, Sir Alfred Munnings, painted of Warrior on the Western Front in 1918 and at home on the Isle of Wight after the war. The world-wide theatre, and Spielberg cinematic productions of War Horse are fiction. Warrior is an amazing story, all the more wondrous because it is true.